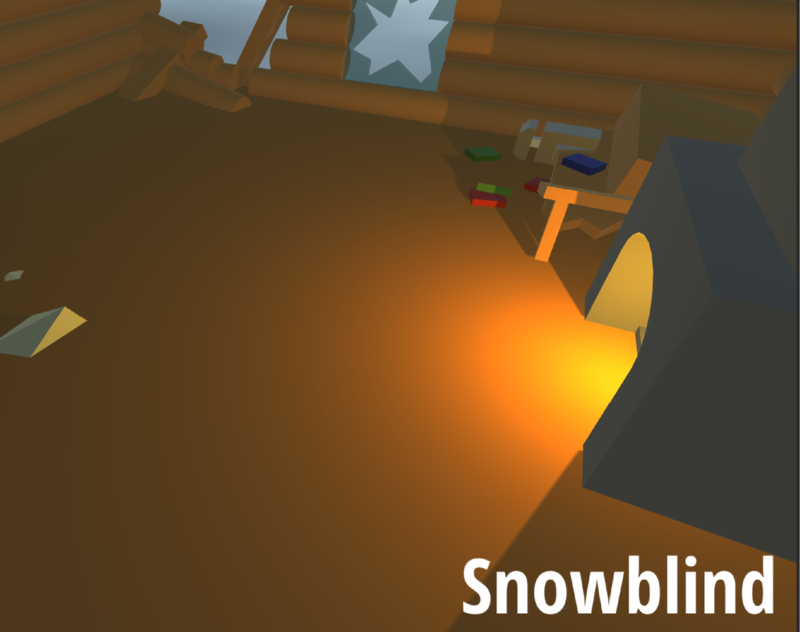 Snowblind is a game about survival, crafting, and building a home in a harsh wilderness. The player begins the game lost in a forest in the middle of a snowstorm and must restore a dilapidated cabin to provide shelter from the wind, snow, and the mysterious beast stalking the woods while maintaining their body temperature and sanity. To repair the cabin, the player must acquire resources from the environment, carefully exploring abandoned buildings to get what they need to survive. The player wins by completing all of the cabin repairs and loses if their body temperature or sanity drops to zero. Made in 48 hours for GGJ 2019. NOTE: updated to fix crash on restart.